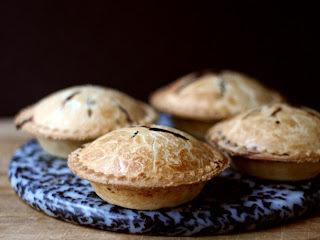 When the PetitePie Maker from Chef's Choice landed on my doorstep, the first thing my husband said was, "Pot pies?!?!" Well, I was thinking about apple, but ... yeah, I guess we could do pot pies. The pie maker works like a waffle-maker, but with pie-shaped recesses designed to cook pastry dough. A cutting tool for making the correct-sized rounds is included, along with a "pusher" to help the bottom crust properly fit into the recess. 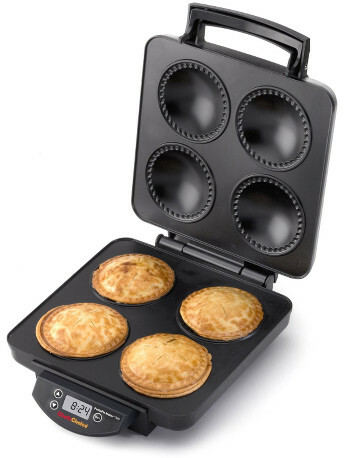 I have to say there's a bit of a learning curve involved with making pies in this gadget. One important consideration is the amount of filling. 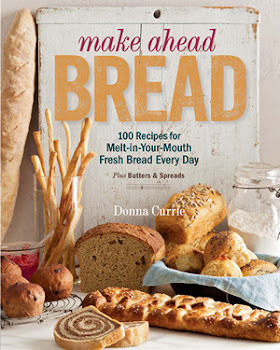 Since the top crust cooks from contact with the top plate of the pie maker, you need a large enough mound of filling - a generous half-cup - so the top crust is high enough to make contact. Too much filling, and you risk having it leak out. Cooking time is based entirely upon the browning of the crust. The filling gets plenty hot during the baking process, but it's not in there long enough to actually cook. Cooking time, depending on the crust and filling, was about 8 minutes. Speaking of hot, the filling, even when I started with refrigerator-cold ingredients - was screaming hot when it came out of the pie maker. 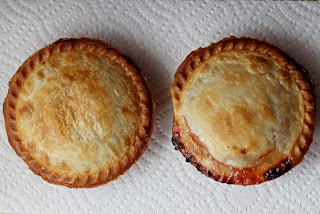 So if you need to make two batches and want to serve hot pie, the first one should still be plenty warm by the time the second is done, or toss them into a warm oven if you need them to keep longer. The one on the right isn't as pretty, but not awful. I have to say that I had a few spectacular failures along with the successes, not necessarily the fault of the gadget. In my experimenting, I tried one filling that was too wet and not conducive to mounding - more like a chunky jam than a pie filling, and the filling boiled and leaked out of one of the pies and created a rather amazing mess. Meanwhile, since the pie filling didn't mound high enough on another pie, that one had a very pale top. On the plus side, the surfaces are nonstick, so cleanup wasn't nearly as bad as it looked. I'm not going to stop making full-size pies, but I have to admit that the mini-pies have their advantages. Like portability. And portion size. I plan on making a whole army of turkey pot pies after the bird is done, and freezing them for easy lunches.